*Light Chicken Pot Pie Style: At least 33% fewer calories than regular ready-to-serve soups. Light Creamy Potato with Bacon & Cheese: 50% fewer calories than the leading potato, cheese, and bacon ready-to serve soup. See nutrition information for sodium content. Now that fall is here it is my favorite time of the year, I just love when it gets cooler. When the leaves start to change colors her in the Northeast, there is no better time for me. One of the best things that happens when it starts to get cooler is, we eat soups more. I just love soup, for me it just fills me and gets me warm all over. What is there to not love about soups. Well the calories of some just are a bit much. 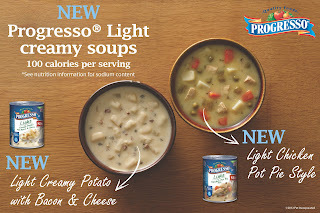 I am always looking to cut back, and eat healthier so when I heard that Progresso now has creamy light soups, I could not wait to try them. I was able to try the new Chicken Pot Pie Style and the Creamy Potato with Bacon & Cheese. Wow, these are light soups? My favorite was the new Chicken Pot Pie Style, it had everything you love from chicken pot pies, the potatoes the carrots, and the peas. The creaminess really reminded me of the pot pie filling, it was delicious. My daughter and my husband just loved the Creamy Potato with Bacon & Cheese, my husband said it was like having a baked potato, and he went back for seconds. I love that these soups have only 2 Weight Watcher plus points per serving. As a person who has struggled with her weight for her whole life, when I can enjoy the food and have it be better for me, I just love that. So if you are watching your weight, or if you would just like to try some delicious soup that you will love, I recommend the new Progresso lite soups they are creamy and have all the flavors of the regular soups. My family just loved them, and we will be purchasing them again, and again. 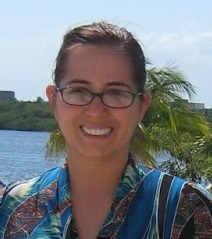 You can purchase Progresso lite soups at your local supermarket. Make sure to print out your coupon to save $1.25 off the purchase of 4 cans of Progresso® soup. Go here for the great Coupon. 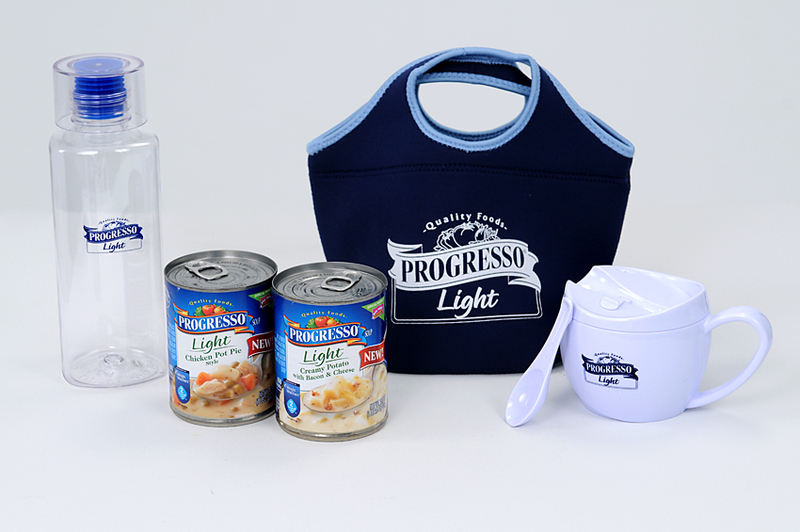 So you can try Progresso Light creamy soups today! Disclosure: The reviews and or opinions on this blog are my own opinions . I received a pack to review.No monitory compensation was received. I was not required to write a positive review. Your experience may differ. The opinions I have expressed are my own I am disclosing this in accordance with the Federal Trade Commissions 16 CFR Part 255: Guides Concerning the Use of Endorsement and Testimonials in Advertising . I love the chicken and wild rice soup. I like the Potato Broccoli & Cheese Chowder. I like the chicken and wild rice. I like the Chicken & Herb Dumpling Soup. I want to try the Light Creamy Potato with Bacon & Cheese...yum! Chickarina soup since I was a kid. My favorite is the Creamy Potato with Bacon & Cheese! I love their lemon recipe starters! I like the New England Clam Chowder. Now its the potato soup! Zesty Sante Fe Chicken Soup. I like their minestrone. Thanks for the giveaway. I'd love to try the light potato with bacon and cheese. Yum! Creamy Potato with Bacon & Cheese is my Progresso of choice! Their Light Zesty Southwestern-Style Vegetable soup for sure!